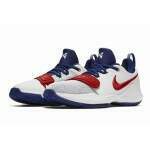 Paul George's first signature basketball shoe is focused on enhancing performance on both ends of the court. As one of the game's most dangerous two-way players, George needs a shoe that can help him dominate both ends of the floor. The combination of dynamic support, lightweight cushioning, and great traction keeps Paul George moving comfortable all game long. 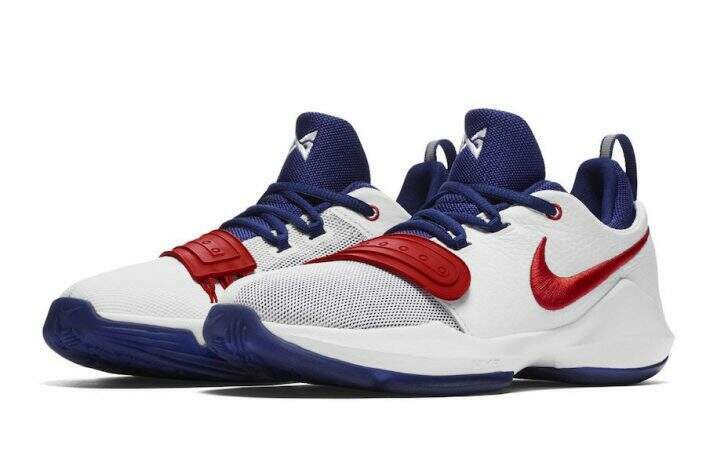 For players that keep going and going, the PG 1 is sure to get the job done. Plus, as the first shoe in Paul George's signature line, it has a fresh new look that looks as good as the shoe feels. Flywire cables help lock the foot down. A forefoot strap provide dynamic support and extra lockdown when you need it most. Half-bootie construction provides a close, comfortable fit and feel. Rubber outsole features a multidirectional traction pattern that prevents slipping and keeps your on your feet. A traditional tongue construction allows for easy on and off.